The Cockrell Butterfly Center at HMNS is one of the most unique locations in Houston. Among the over 1,500 butterfly species you spy as you wander through our enchanting rainforest conservatory, is the beautiful Yellow Tiger Longwing, Heliconius ismenius. This stunner of a specimen gets it’s name from—you guessed it—it’s beautiful striped markings, which are reminiscent of a certain large jungle dwelling cat. 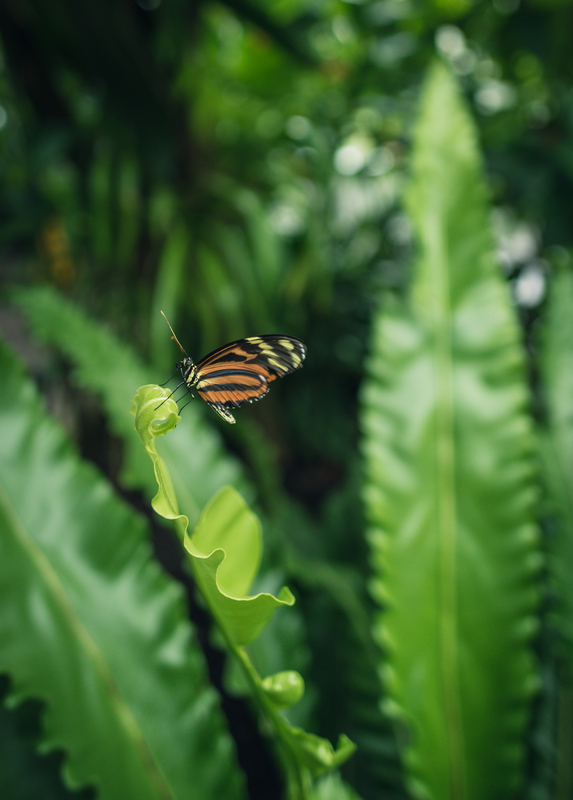 Commonly found in Central and South America, visitors to HMNS can see them flutter and land among the exotic plants and trees right here in Houston in our Cockrell Butterfly Center. For the best chance of spotting one during your visit, seek out the host plants in the conservatory, such as passion vine. Insectivores find that the Yellow Tiger Longwing tastes pretty awful. Predators easily remember their bright orange and black wing pattern and don’t often make the same snacking mistake twice. Their coloration is so effective in fact, that other butterflies have evolved to mimic the same coloration in order to stay safe from predators! Have you spotted a Yellow Tiger Longwing during a visit to the Cockrell Butterfly Center? Let us know in the comments! Next Post Here's A Science-y Summer Activity To Keep The Kid's Brains Busy From Our Art Smart Camp!